Welcome to Celebrating Diversity in September! 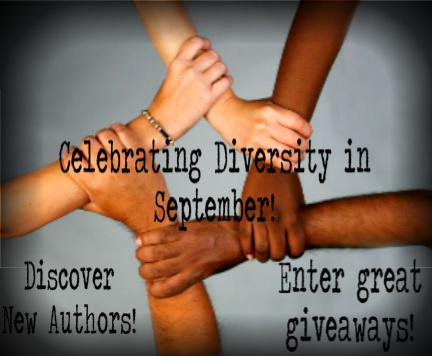 Every Sunday and Wednesday of September, Books, Beauty and Bodacious Deals will be featuring books that have culturally diverse characters and the wonderful authors who write them! Please make sure you follow all instructions to enter the the awesome giveaways. The entry steps are simple and you’ll discover some great books in the process. Here comes the first giveaway! Jeric doesn’t do girlfriends. Unless they’re someone else’s. He left the fighting cage and modeling for a reason, and girls who want more than a night of fun are distractions he doesn’t need. Especially when they come with as much baggage as Leni carries. But he can’t shake the gut feeling that he needs to know her. All of her. 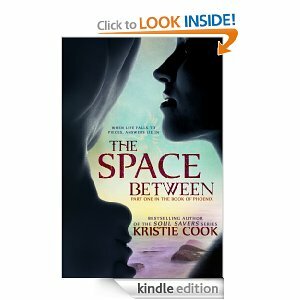 Follow the Kristie Cook on her Facebook Page. Leave the message, “thank you for the diversity giveaway” on her wall. Comment here that you have done both and what # “like” you were. This giveaway ends at 8 p.m., Monday, September 2nd. That’s it! Follow all entries because all entries will be checked! Best of luck and hope you enjoy discovering this author and read! Love your books .. Tried to post but not sure it went through. Liked you on Facebook #5013 and left the required comment.